Last summer I travelled to Blomkest MN for an antique power show. Ever since I became interested in photography a few years ago, I try to maximize the new things I see. So I’ll take a slightly longer route sometimes to get somewhere if I have the time, just so I can pass through a town I haven’t been in before. Lake Lillian a town of a little more than 200 people in Kandiyohi county MN was a couple miles off the direct route to Blomkest, but worth the visit. I stopped for lunch on my way back from West Central Antique Power Collectors Show that I had went to earlier in the morning. Like another blogger I know, I always enjoy finding a restaurant that features real cooking and not just items that come off of the food service truck. 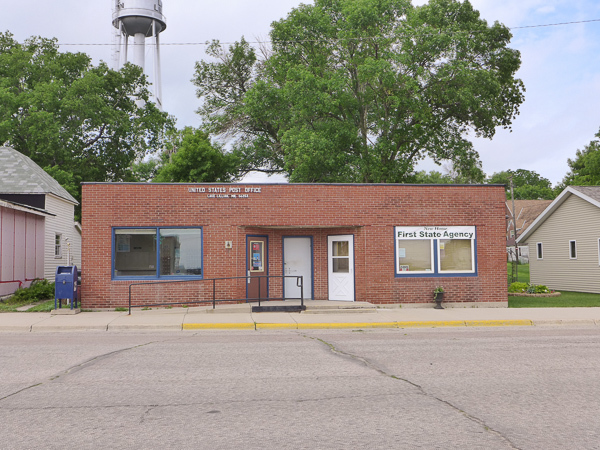 The Food Garage in Lake Lillian Minn. The Food Garage is a remodeled Ford auto dealership. Inside the Food Garage in Lake Lillian Minn. 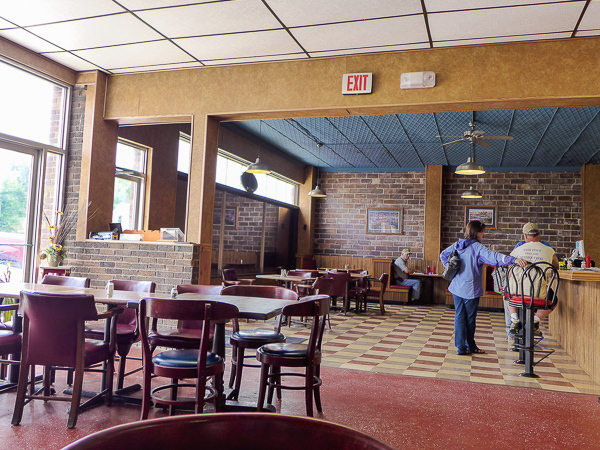 The restaurant features plenty of seating for large and small groups of diners. The special on the day I stopped was a barbecue pork sandwich. It came as a slab of pork on a bun with some barbecue sauce and featured slaw and fries as sides. It was very good. The service was good. I was there about 11 am and it was really starting to get busy when I left at 11:45. If you are traveling on MN 7 through the west central part of the state, it’s worth the stop. 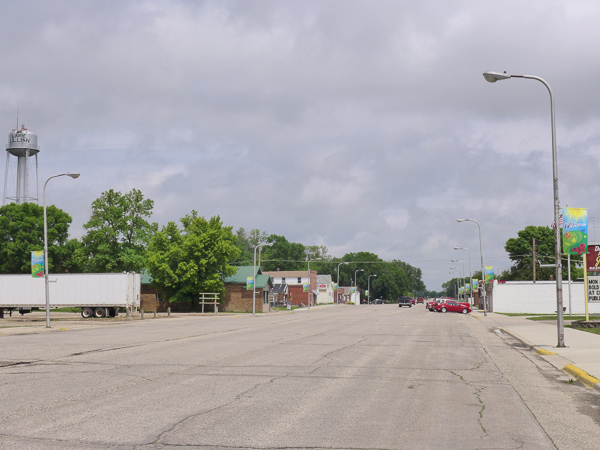 I shot some other photos of the town on as I was leaving. Main Street Lake Lillian, Minn. Looking North from the Food Garage. 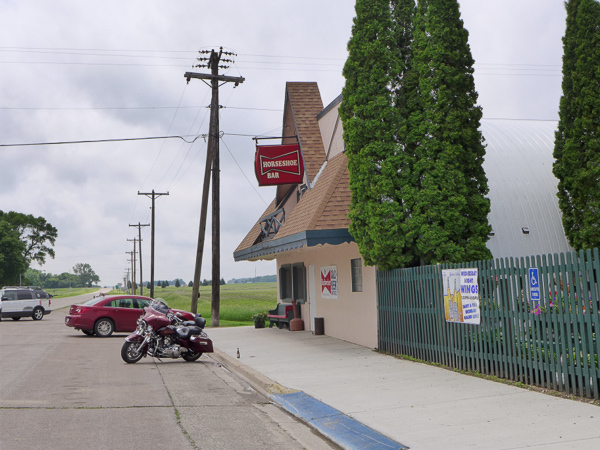 K&M Liquor, Lake Lillian, Minn. I did not know the fate that awaited the liquor store when I was there that day in June. K&M Liquor after the fire. Just three months later, almost to the day, the liquor store would burn. I didn’t know that until I happened to be driving through Lake Lillian in February of this year and took a drive down main street and saw the fire damaged liquor store. I was hoping no on was injured because I remembered before when I was there that it was apparent people lived above the business. A quick search on the internet revealed the following snippet. 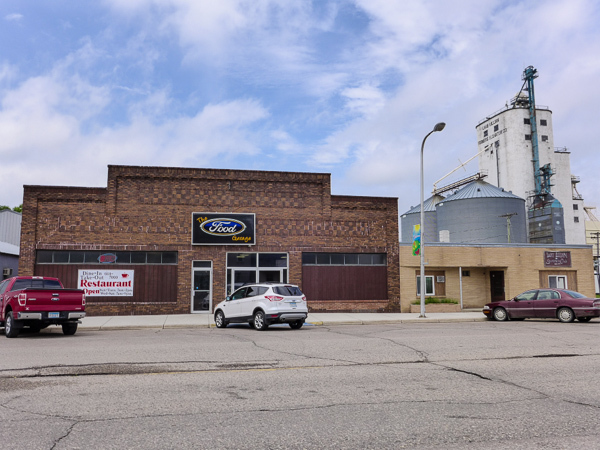 LAKE LILLIAN — The Sept. 23 fire that extensively damaged the K&M Liquor building in downtown Lake Lillian has been ruled an arson fire by the State Fire Marshal and the Kandiyohi County Sheriff’s office. I found no indication of any injuries sustained in the fire, so hopefully there were none. This entry was posted in Uncategorized and tagged copyright ryan ware, Lake Lillian, restaurant, small town. Bookmark the permalink. Thanks for sharing your food find with us, Ryan. This looks exactly like my kind of place. (Thanks for the shout out.) And that pork sandwich sounds delicious. I so appreciate your photos because you’re showing me towns I’ve never visited and you know how I love these off-the-beaten-path communities. 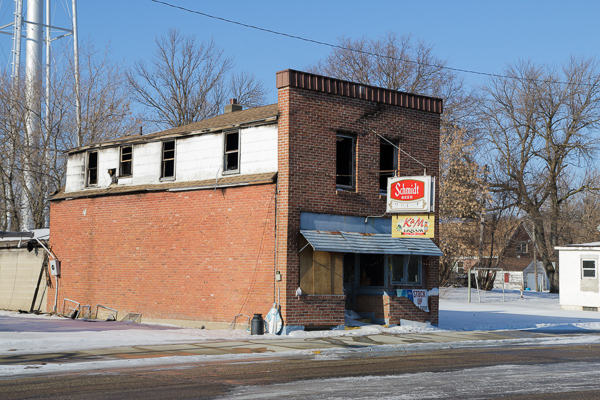 You are correct about the Liquor store fire–nobody was hurt. The apartment upstairs was not occupied, and the fire happened at night. 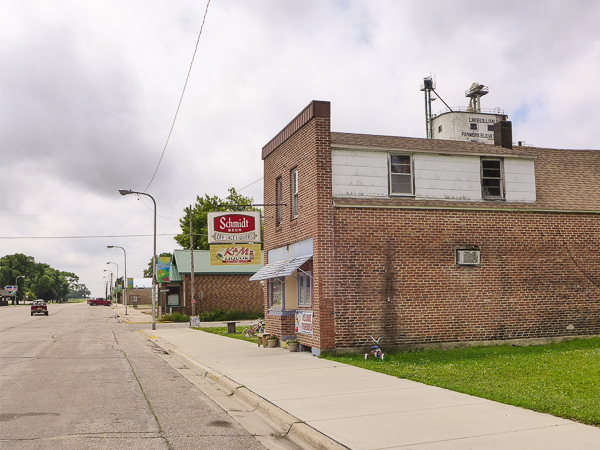 The grain elevator and grocery store/gas station have closed, but the Food Garage is still going strong. Thanks for confirming the fire and the update on the rest of the town. I did not know the grocery store / gas station and elevator closed. It’s inconvenient when people need to run out of town for groceries and gas. Glad to hear the Food Garage is doing well.